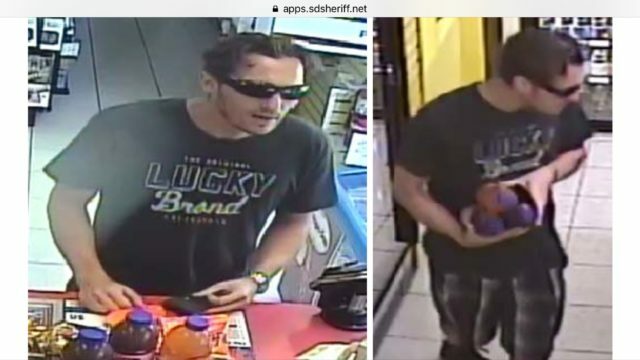 The Santee Sheriff’s Station sought the public’s help Thursday in tracking down a suspected indentity thief and his companion. Unauthorized purchases made on the credit card of a Santee resident, who said she never lost the card and doesn’t know how her information was compromised, prompted investigators to open an investigation, according to a sheriff’s statement. The illicit transactions totaling about $900 occured Aug. 21-22 at a Shell gas station, 5302 Lake Murray Boulevard in La Mesa; the Sarku Japan restaurant at Fashion Valley Mall; and a Travel Mart in Mission Valley, according to the statement. 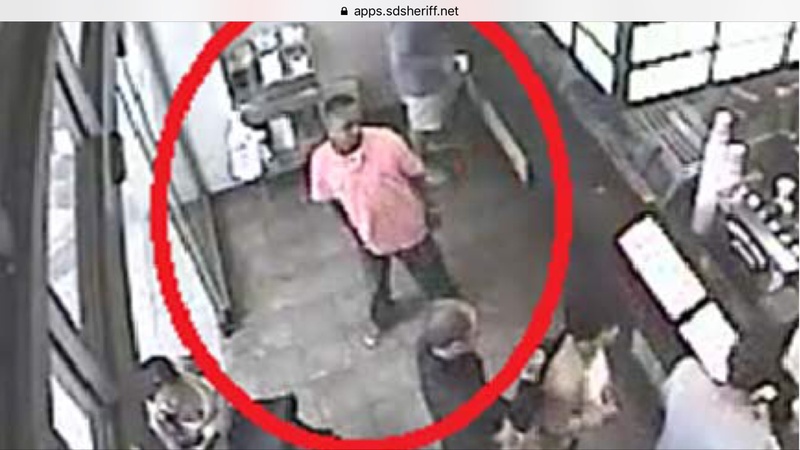 Surveillance video from the Shell station shows a suspect wanted for questioning in the case. He is described as a white adult male, 20 to 30 years old, with short brown hair. In the video he was unshaven and wearing dark sunglasses, a dark “Lucky Brand” t‐shirt, plaid shorts and dark “skater style” shoes. 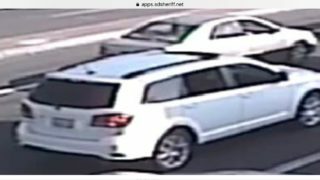 He was spotted getting into the backseat of a white four-door SUV when he left the area, and police say there appeared to be two other people in the vehicle. 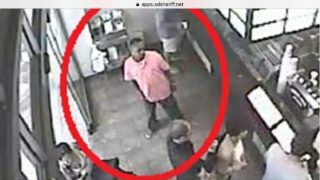 A companion suspect, who was also captured on surveillance video, is described as a black male adult with short hair and was last seen wearing a pink collared shirt.